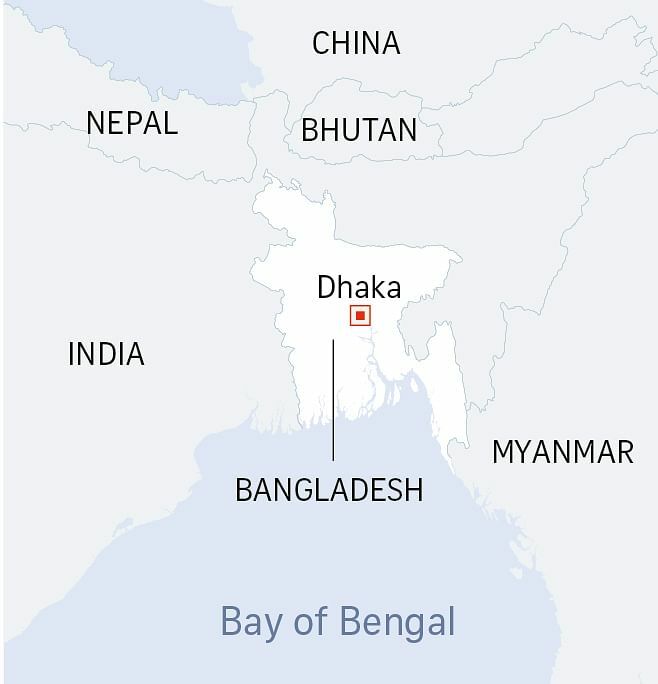 SINGAPORE - Twenty-seven male Bangladeshis working in Singapore have been arrested under the Internal Security Act (ISA) - the first time a jihadist terror cell comprising foreigners has been uncovered here. Investigations showed that the group, which has been meeting since 2013, supported the armed jihad ideology of terrorist groups such as Al-Qaeda and the Islamic State in Iraq and Syria (ISIS). Some of them had considered waging armed jihad overseas, but they were not planning any terrorist attacks in Singapore, said the Ministry of Home Affairs (MHA) on Wednesday (Jan 20). The men, who were working in the construction industry here, were detained between Nov 16 and Dec 1 last year. Most of them had worked in Singapore for two to seven years. In a Facebook post on Wednesday night, Prime Minister Lee Hsien Loong said they were a serious threat to Singapore, even though they were plotting "nefarious activities" in their home country. He added that Singapore is tightening its security and acting to protect its racial and religious harmony. "Radicalisation and terrorism must never take root in Singapore," said PM Lee. Law and Home Affairs Minister K. Shanmugam warned that the men could have easily changed their minds and attacked Singapore. "Our security agencies have done well in picking them up early. I had said yesterday ( that the threat of terrorism is real. We are getting daily reminders of that," Mr Shanmugan wrote in his Facebook post. Of the 27, 26 were members of a closed religious study group that subscribed to extremist beliefs and teachings of radical figures like Anwar al-Awlaki, an American and Yemeni Islamic lecturer alleged to have ties with militant group Al-Qaeda. Awlaki was killed in a drone strike in Yemen in September 2011. The remaining man was not a member of the study group, but was discovered to have been undergoing radicalisation. He supported extremist preachers and possessed jihadi-related material. All 27 have had their work passes cancelled, and 26 of them have since been repatriated to Bangladesh, where the authorities were informed of the circumstances of their repatriation. The last person is now in prison for attempting to leave Singapore illegally after learning of his fellow members' arrests. He will also be repatriated once he completes his sentence. This is the first time Singapore has uncovered a jihadist terror cell comprising foreigners. Previously, a few Singapore Jemaah Islamiyah members had been involved in terrorist incidents overseas, said MHA in response to media queries. The group held weekly meetings and gatherings at a few mosques that were located near where some of them were staying. At these meetings, they discussed armed jihad and conflicts that involved Muslims, said MHA in response to media queries. They were not employed by any particular company. "There was also no concentration of the group members in any particular place of abode," MHA added. In the course of their arrests, the Internal Security Department recovered a "significant amount" of radical and jihadi-related material, such as books and videos containing footage of children undergoing training in what appeared to be terrorist military camps. Several members also possessed a shared document with graphic images and instruction details on how to conduct "silent killings" using different methods and weapons. The group members took measures to avoid detection by the authorities, sharing jihadi-related materials discreetly and holding weekly gatherings to discuss armed conflicts involving Muslims, said MHA. "They also carefully targeted the recruitment of other Bangladeshi nationals to grow their membership," said the MHA. A number of members admitted that they believed they should participate in and wage armed jihad on behalf of their religion. Several contemplated travelling to the Middle East to take part in the ongoing conflict. Some of them were in support of terrorist groups that killed Shi'ites as they considered Shi'ites to be "deviant". They also bore grievances against the Bangladeshi government over its actions against some Islamic groups and leaders. "Members were encouraged to return to Bangladesh and wage armed jihad against the Bangladeshi government. They had also sent monetary donations to entities believed to be linked to extremist groups in Bangladesh," said MHA. The Government takes a serious view of any form of support for terrorism. Any person - foreigner or otherwise - who engages in any activity that threatens to harm Singapore's national security and racial and religious harmony will be firmly dealt with under the law. "Foreigners are guests of our country and they should not abuse this privilege and use Singapore as a base to import their own domestic political agenda and carry out activities in pursuit of such an agenda," MHA said. "In the same way, foreign religious speakers who propagate divisive doctrines which could lead to mistrust, enmity and hatred among local religious groups and undermine Singapore's social cohesion are not welcomed and will not be allowed to operate in Singapore." Anyone who knows or suspects that a person has been radicalised, or is engaging in extremist activities or propagating extremist teachings, should promptly inform the Internal Security Department (1800-2626-473) or the Police (999).